Classen School of Advanced Studies is a nationally recognized school, being ranked 39th in the 2012 NEWSWEEK’s America’s Best High Schools, provides a dual educational program focusing on academics and the arts. The two complementary and challenging college preparatory programs offered are: the world-recognized International Baccalaureate Diploma Program and the nationally recognized Visual and Performing Arts Program. 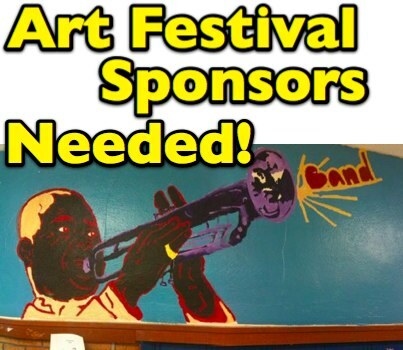 Classen School of Advanced Studies (CSAS) will be holding its fourth annual All School Arts Festival Saturday, April 6, 2013 on the grounds of CSAS. We are extremely grateful to our sponsors and donors who have supported us in the past and allowed us to provide this opportunity for each of the departments to raise funds that allow them to “go the extra mile”. Would you consider making a financial donation to help us underwrite this event? The Arts Festival provides an opportunity for our community to come together and enjoy art, music and entertainment provided by CSAS students and alumnae. Student art will be on display and select items will be for sale. These items for sale will include student creations and donated items from the community. The sponsorship form is available in PDF form. See our past post, “CSAS All-School Arts Festival 2013” for more information. March 7, 2013 in Announcement.